You have lots of different software for different processes. You don’t have easy access to critical information about your business. Accounting is a nightmare and becoming increasingly difficult. Your IT is too complex and time-consuming. Your sales forecasts are based more on guesswork than solid figures. If this sounds like your business—or close to it—then it may be time to consider an ERP system. BlueSnap is now integrated with the NetSuite ERP System. Our integration will allow you to sell products online and automatically associate purchases in BlueSnap with NetSuite to facilitate fulfillment. That means you can convey a new Sales Order completed in BlueSnap via NetSuite, a new customer associated with the sales order, and if needed, a new refund issued in BlueSnap. Using BlueSnap for NetSuite integration across other applications enables different departments within your company to collaborate effectively by having access to the right data at the right time. 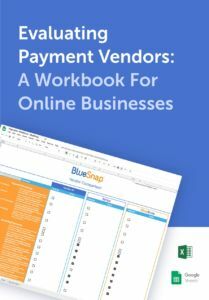 Since the integration is fully automated, merchants can focus on increasing sales and managing the resulting order, instead of wasting time manually keeping your BlueSnap and NetSuite accounts in sync. Merchants, you can provide BlueSnap with an existing NetSuite Customer ID during a new transaction in BlueSnap (by using a custom field) – and our system will treat the transaction as a returning shopper transaction, and associate the new Sales Order to the existing customer correctly in NetSuite. Additionally, any refund or chargeback done in BlueSnap via the Control Panel/Web-Service will trigger a corresponding Customer Refund in NetSuite, so you can keep track of these items in NetSuite as well. NetSuite and BlueSnap make for a seamless purchase.